Tinnitus is a condition in which ringing, swishing, tinkling or other type of noise that seems to originate in the ear or head when no external sound is present. In most of the cases, it is not a serious problem but rather a nuisance that eventually resolves. Rarely, it represents a serious medical health problem such as a brain aneurysm or acoustic nerve tumor. Temporomandibular joint syndrome, an abnormal condition involving facial pain and poor functioning of the lower jaw. Cut back on or stop drinking alcohol and beverages that contain caffeine. Don’t smoke or use smokeless tobacco products (secondhand smoke also affects those around you and may contribute to SIDS, ear infections, and asthma in children). Do not use cotton swabs to clean ears as it can cause a wax impaction against the eardrum that can cause tinnitus. Even everyday noises, such as blow-drying your hair or operating a lawn mower, can require hearing protection. Keep earplugs or earmuffs handy for these activities. Headphones is to be used carefully. Nicotine use may cause tinnitus by reducing blood flow to structures of ear. Protect hearing at workplace, wear earplugs or earmuffs, and follow hearing conservation guidelines set. Tinnitus occurs more frequently in obese adults. Exercising regularly and maintaining a healthy weight improves blood flow to the structures of the ear and may prevent tinnitus. When nearby any noise that bothers (a concert, sporting event, hunting) wear hearing protection to reduce noise levels. ^ Iron deficiency and pernicious anemia can cause noises. ^ Melatonin may help those who suffer with tinnitus, particularly with disturbed sleep due to tinnitus. ^ Reduce or avoid caffeine and salt intake, and quit smoking. ^ Some behavioral and cognitive therapies that have been successful include retraining therapy, masking, and behavioral therapy. ^ Some individuals with tinnitus have been found to have lower zinc levels and may benefit from zinc supplementation. ^ The only real prevention for tinnitus is to avoid damaging your hearing. Most causes other than hearing loss do not have prevention strategies. However, there are several things you can do to protect yourself from noise-related tinnitus. -Avoid aspirin or aspirin products in large quantities. -Avoid exposure to loud sounds and noises. -Avoid nerve stimulants such as coffee and colas (caffeine) and tobacco (nicotine). -Get adequate rest and avoid fatigue. -Iron, vitamin B12 and folic acid corrects anemia, which improves the condition in tinnitus. -Limit the amount of simple sugars consumed, including those found in fruit juices. Hypoglycemia a condition that is worsened by the consumption of sugar can also cause ear ringing and hearing loss. Chromium helps to correct hypoglycemia by regulating glucose metabolism. And the best source is green pepper and apple. -Stop worrying about the tinnitus. The more one worry and concentrate on the noise, the louder it will become. -Utilize a masking noise (for example, a competing sound such as a ticking clock, a radio, a fan, or white noise machine). Each sufferer has a personal experience with the condition, what brings relief for one person may not work for another. According to Encyclopedia of natural remedies, deficiencies in magnesium and potassium have been linked with tinnitus. TriOrigin methods, from simplest to complex ones, are self-sufficient for coping with pain and obtaining a stable remission of even tinnitus. A natural way of treatment, and process of normalisation of the patient’s state, begins during treatment with different modalities such as micro needles, colors and seeds. The most effective and fast acting in treatment is Six Energies therapy in the structure of kidney meridian after preliminary correction of the emotional sphere. Next Next post: ↗︎ HYPERTENION and ‘colors’! Thank you! I strongly believe the tinnitus I have is helpful! Dr Kapur can you please suggest a remedy for premature greying of hair? I am Shweta from Hyderabad. I am 23years old and have been having tinnitus since past 8 months. Sir, I want to know if there is cure for this in SuJok. I don’t have any other major ailment sir, I have slight low back pain. How many days would I have to Delhi for treatment from you Sir. 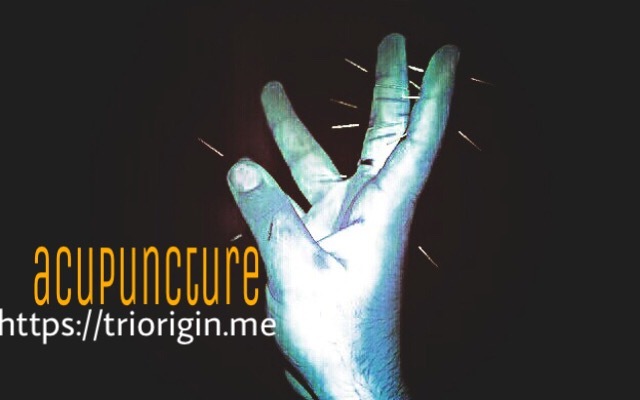 Nice post,and very informative,medicine can do little help to come out of this problem, I strongly believe that TriOrigin acupuncture will surely help people to come out of this. Thank you dr. Dinesh for letting people know how they can overcome with their problems with TriOrigin. Sanjay Dutt, Asian Games Village, New Delhi. Incredible to find out the results after having problem and unbearable pain syndromes which could easily be recovered after taking few sessions from doctor Dinesh Kapur. It is really unbelievable. Thanks to him for the effectiveness. It has given me an immense effect that I was having pain in my jaws radiating to the head, with the result it was quite difficult to concentrate on daily routine works. But sujok acupuncture has given me awesome results in one session only.